In short, Shopify is one of the leading Canadian eCommerce platforms offered to businesses and individuals, based on a monthly subscription fee. Anyone can subscribe and then begin to showcase their products online, to sell directly to the public. For more information about Shopify, you can visit their website here. Individuals or companies of all sizes, who are interested in selling their products online to their B2B or B2C customer base, are typical users of this Shopify platform. With less than $100/month, they can begin selling their products online. One important thing to emphasize here is that with the emergence of the online retail (or eCommerce) market, companies selling products through the Internet on platforms such as Shopify, are not necessarily carrying inventory of their products anymore. More and more, once a company receives an online order from a customer (through the Shopify platform), these orders are then transferred to the manufacturing business partner(s) for shipping and delivery of the bought item(s), where they are told the “white label” the delivery package. This concept is called “Drop-Ship” (or Drop Shipping) in the retail and eCommerce world. Basically, the seller receives orders from their online retail store and is paid via the Internet (through PayPal or credit card) and then forwards the order to the manufacturer to then ship directly to the client. For many, there is now no need to hold inventory in a local warehouse. 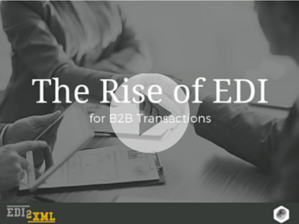 What does EDI have to do with eCommerce? For those who aren’t very familiar with EDI (or Electronic Data Interchange), it is a set of standards and processes to exchange business documents electronically between Business (or Trading) Partners. Common business documents include Purchase Orders, Invoices, ASNs (Advance Ship Notice), Inventory Inquiry/Advice and more. This data exchange can happen in both directions – incoming and outgoing. Most major manufacturing and distribution companies will require a system-to-system integration through some sort of EDI. This speeds up processes and allows for greater efficiency in partner communication. Shipping companies also require integration via EDI. Today, consumers are very well educated and require to be informed on the status of their orders at every step of the way during the shipping process. As you may notice, all of the above requires system-to-system integration between so many unrelated or diverse systems and platforms. At this point in time, most major companies and retailers are well equipped with EDI platforms and standards in which they have been investing in for many years now. Companies are now finding more ways to use their EDI to increase efficiency and are truly seeing returns on their investments. 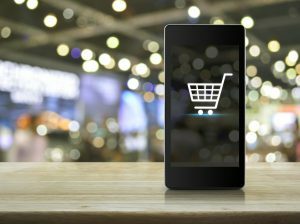 If you are in the Drop-Ship business and you are selling online through Amazon, Wal-Mart, Cabela’s or Target for example, chances are that these retailers will impose certain rules and require that you go on EDI. If you are dealing with suppliers, they will also impose similar rules and require the use of EDI. 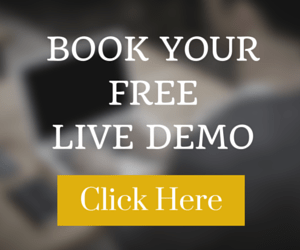 If you are selling online through your own store via Shopify, and you have a high volume of clients that expect to the informed of their orders at any given moment, this is another big reason why you should have EDI integrated with your Shopify store. If you are dealing with shipping companies like FedEx, Purolator, UPS, etc., and you have a high volume of shipments on a daily basis, then you need to integrate your management systems AND Shopify with EDI. The above are main reasons for EDI integration but there are tons of other ways EDI can improve your processes and reasons to talk with an EDI consultant today. How can I integrate my Shopify Store with EDI? This integration is very feasible however you will most definitely need a team of system integrators with a high knowledge and expertise in EDI. 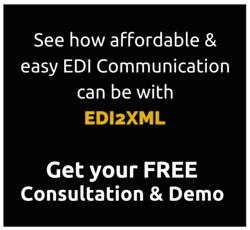 With the right team like the EDI2XML team, there is no going wrong. 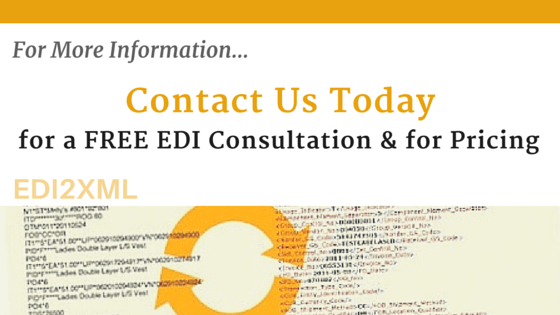 If you are interested in learning more about this topic or any other issue related to EDI integration projects, please contact us today and receive your free consultation. EDI translation software “on premises” or “as a service”: What’s the best option?